One of the most important fashion designers in the world, Mr. Oscar de la Renta, passed away today, at the age of 82, after a long battle with cancer. 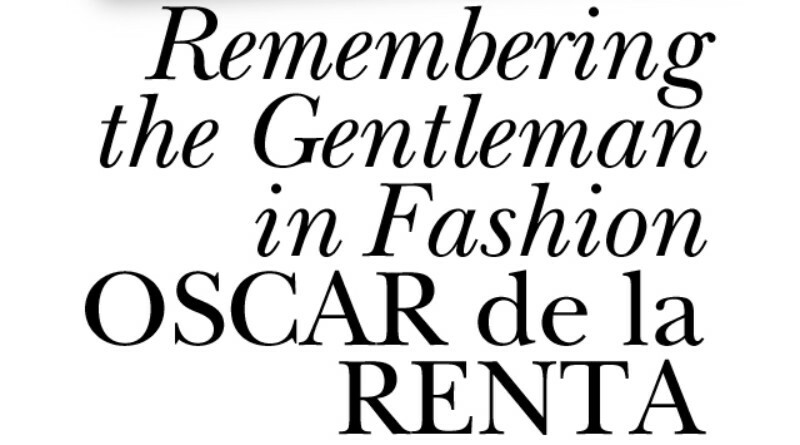 With great sadness we regret the loss of the “Gentleman” as many fashion personalities and fans referred to him. With all our respect to his family in this time of great sorrow. The Fashion world will miss him dearly as he created some of the most elegant dresses ever seen!